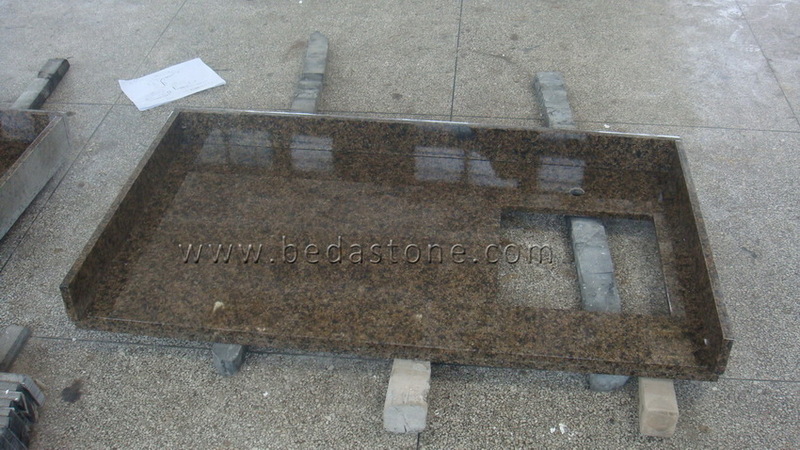 Tropic Brown Granite kitchen countertops customized in U shape at home or making in a classic style for cando projects and more. 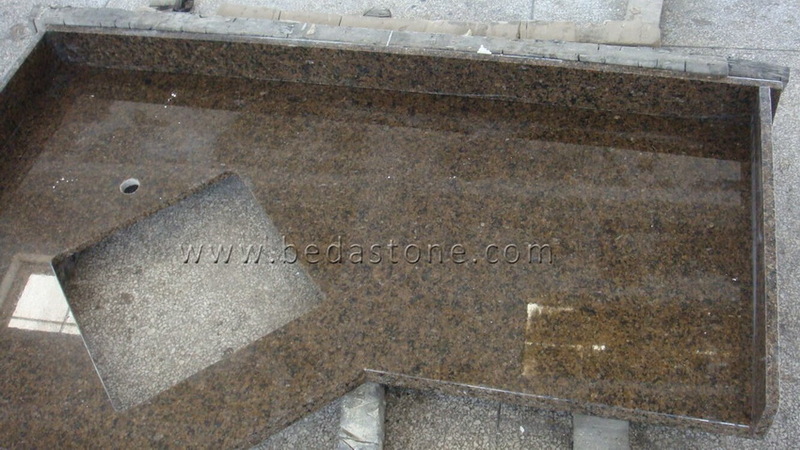 The dark brown with Coarse grain structure are classical and durable style. 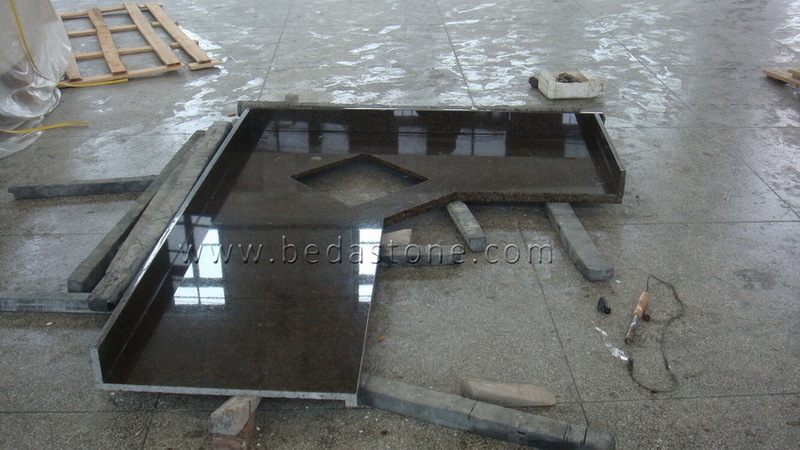 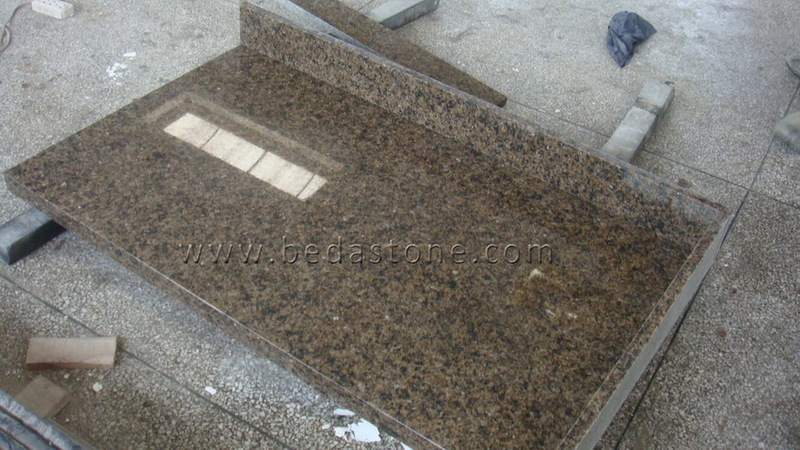 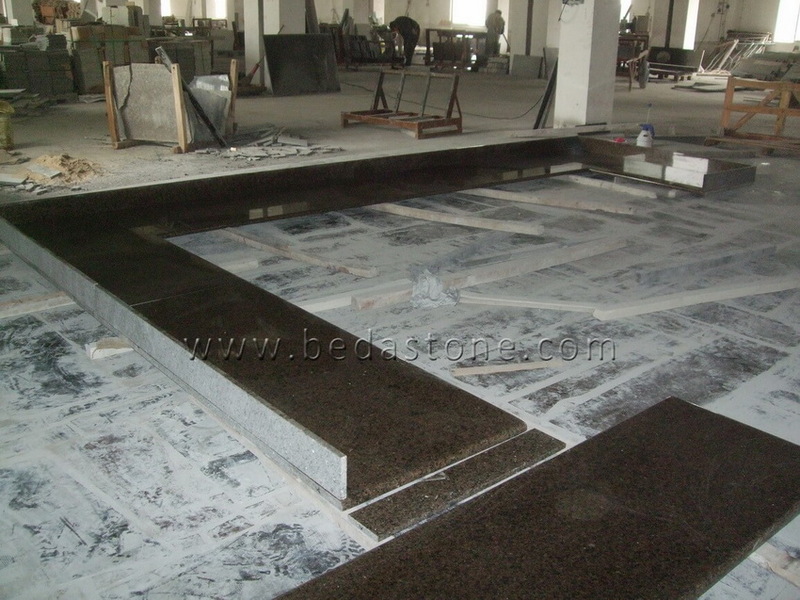 Besides Tropic Brown granite, more granite colors are popular in the market as well, like Giallo Ornamental, Ubatuba or New Caledonia All of them widely used in kitchen and Bathroom countertops, window sill and stairs, wall cladding and flooring. 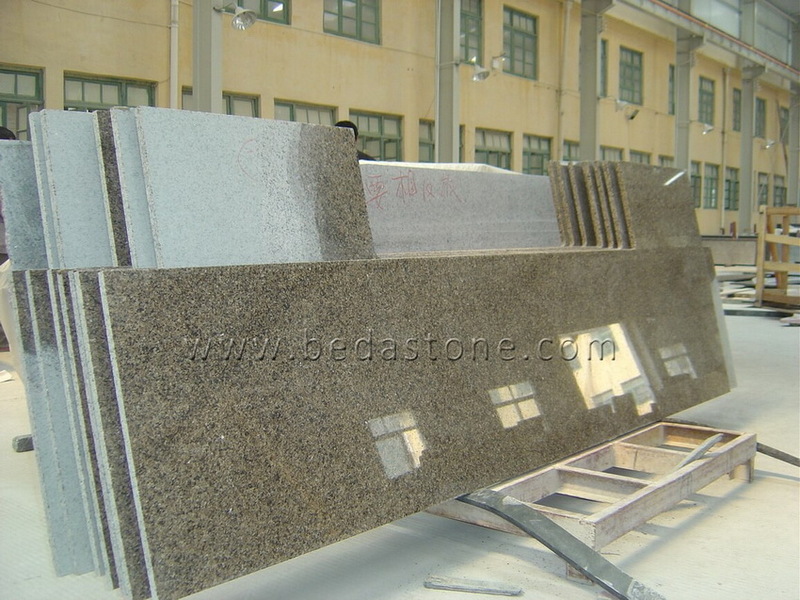 Edge Profile: Laminated edge, Full Bullnose and Half Bullnose.